To cut a long story short, that just happened. So, we return to Manila in 1887. Cast back to that moment a young man steps off the boarding ramp and winces as his foot takes his first step onto Philippine soil; lightning shooting up from the balls of his feet, up his spine, to set his brain afire in a riot of explosions to rival the celebrations of New Year’s Day. He chuckles, in a way that the family finds discomfiting, and moves on. The dog on a leash by his side barks at the family as if to say ‘Goodbye! Take care!’ and jogs as fast as its little legs can go to match its master’s purposeful stride. In brief, that young man is myself. 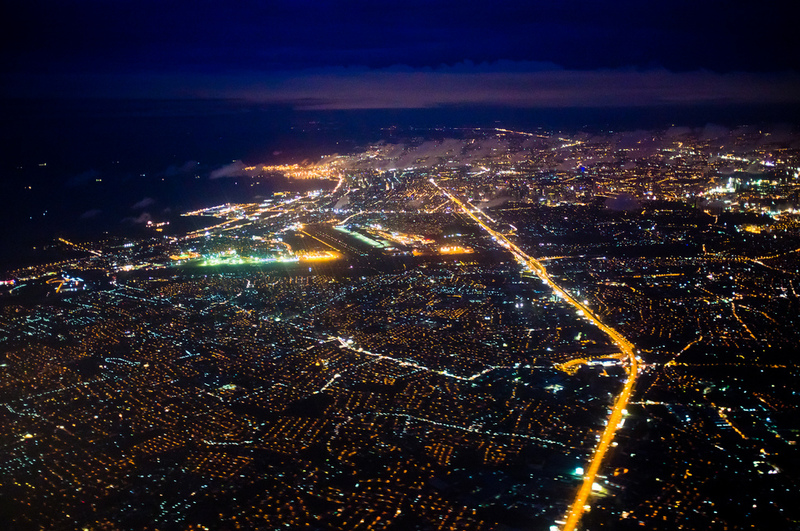 And this is Manila. My Manila. Look about you! Compared to the cities of Europe, it certainly seems squat, wooden, dusty, and provincial. It is a time capsule, through three hundred years changing only little but little. Berlin was an artful place, it shall shine forever in my heart. But the Pearl of the Orient contains its own virtue, a traveler returning from abroad might find comfort in the constancy of one’s own hometown. Hers is a practical home, one often ravaged by wind and fire and earthquakes; her architectural style is mandated by law. Bit by bit one might see improvements – the long suspension bridge crossing the Pasig River, the first of such in Asia. The horse-drawn tramvia, standing public transport cabs rolling on small rails for the urbane and economical, the far predecessor of public light rail transit. Imported electric lights light up Puente de Espana, the Bridge of Spain crossing the Pasig River, still dimly lit this dawn. The misty haze of the cold early morning makes it all seem like a dream; welcome, welcome, lost child! ; she seems to open her arms no matter how long you have strayed. But even the cities of present day Europe would pale behind my strange memories of the future that is Metro Manila. One of the world’s largest metropolises. In the horizon, what I see now as forests and farmland and little collections of straw-roofed villages would be cities in themselves. There in my dreams awaits a place with more people in it than many European nations even in its century, a place almost completely paved over with concrete. A stone trap of alternately of choking heat and flooded streets. A jigsaw collection of streets and lights, beating in tune with the pulse of global commerce. This Manila is almost quiet by comparison, even with its busy docks, even with the grating cacophony of moving carts. There are no neon lights, there is not the ambient and forgettable music drifting from stereo speakers both on and off the road. She does not blaze with light to outshine the heavens. Here single-stack steamers huddle against the piers like ducklings, while larger ocean-going vessels preside over them like stately white geese. Small sampans carrying cargo and passengers sidle against the shores of the Pasig River; still not yet raised with dikes to protect against seasonal flooding. This city is a gridwork of streets, orderly as a chessboard, and more forthright than the priesthood that commanded these islands for the past three and three-quarter centuries. At night this city, all of it, sleeps. This place here where the Chinese are still considered menial servants, instead of the richest people in the country, save those who (like Rizal’s own ancestors) intermarried with the mestizos and took new names. Japanese settlers too once made their residence in the Paco area and assimilated into the community. If Manila has Chinatown, far south in Davao there I might find a Little Tokyo. Ironically, most immigrated here for trade and for freedom from religious persecution. My Philippines, with your not even seven million people, while Japan has almost thirty million – they come here to you in this time as migrant laborers! The Christians expulsed by your Shoguns and your Emperors, we welcome you! More multicultural than what might have been expected, this Pearl of the Orient that is protected by its shell of relative obscurity from the turmoil of Europe and East Asia. I cannot get off the ship fast enough. For last night, as the ship approached Manila Bay, all were disturbed by someone screaming as if being murdered. How humiliating. What happened last night? It was as if I shattered under the sound of a hundred million voices shouting, and put back together by someone who did not quite understand humanity. Still they linger there, at the back of my skull. All humans are their own unique souls, but I feel like my insides have been turned into filaments that only look solid due to being so compacted. One good tug might have it all unravel. As such, as I step onto these shores, let me begin again. What has changed, from my fate in the life before – or, perhaps more accurately, in a parallel timeline without intervention? Look there, the walled city of Intramuros – surrounded by a moat whose small entrances are still protected by drawbridges and steel-barred gates. Can you imagine, you hypothetical persons of the twenty-first century from whom I derive this awareness, the notion of a castle town after three hundred years of cannon warfare? It was already obsolete even at the time the Spanish first arrived on these isles. It is quaint. Even by the standards of this era, it is very quaint. And yet, I also remember fondly that I found these walls full of grandeur. It is not about safety. It is about being separate. Inside is a slice of Spain on the opposite face of the world. And outside, all the unpleasant details of managing a colony for the Empire. This place, somehow so nostalgic and unreal. See it with these eyes of mine, somehow adrift in time. I have here in my head, the full text of the work that describes my life – my ignorance, my failures, my fall, my hate, and my death – and these two novels that had its author executed for sedition. Strange, I do not feel fictional. Cogito ergo sum. I think, I feel, I smell the stink of horse droppings in the street. Perhaps the best way to describe it is that I am simultaneously Juan Crisostomo Ibarra, a man born to his parents and raised in the town of San Diego along the shore of Laguna de Bay, and a synthesis with this aggregate of memories and views of a person born and raised in the turn of the millennium. Thus why my words on the outside might be steeped in the courtesy and formality drilled into me from childhood, here in the privacy of my thoughts there is only chaos and hemorrhaging verbiage. The city changes but slowly, but in a night everything about me has changed. And the most important change of all… is that I did not arrive alone. Knowledge can be turned into power, wealth can be power, but only power is power, and no person no matter how might can escape the limitations of having only two hands and a finite lifespan. This is why we human beings are social creatures; in that together we create great works. A nation is composed of helping hands. Now I am riding in a calesa. I am leaning as if on the verge of sleep, watching the world through eye slits, my fingers laced meditatively on my lap. It is far too public to freak out the way I really need to freak out. Where do these words come from? I do not know. Where do these words go? I do not know. But where I sit so tired and listless, my companion sits up and stares excitedly at each passing new thing. So strange! So exciting! Everything is amazing! And I cannot help but to chuckle and feel more at peace. It is as if a veil has passed from my eyes. Everything I see before me glows in a new context. Where others of this time period, my generation, can see the humdrum reality of their poor land – a colonial possession of a colonial power whose glory had already long dwindled – I can see only possibility. Grand possibilities. Terrible possibilities. For it is the turn of the century, and the song in the wind is –war-. I suppose, as far as things go, my situation is not so bad. If I were in the United States, suddenly graced with this unfathomable ability, it would truly be the easiest of easy modes. Unless perhaps I were a black man, but even so the giant of industry it will become cannot be stopped. Through steel and blood and Prohibition and Europe aflame shall the United States grant all manner of wealth to the brave. Were I a person chosen in Europe, that would be difficult indeed. Though it is full of opportunity, ever is Europe a battleground of ideas and ideals. Is the Great War inevitable? I believe it is. Technology is advancing far faster than the mores of society, and Europe considers war its past-time. If I were heartless, I could prosper, then in two decades everything explodes. There would be greater thrill in shaping history, if that were one’s heart’s desire. I could befriend Freud and watch him slowly wither as his faith in science and the rationality of man is stripped away, a psychologist eventually suffering his own psychotic break. That I am Crisostomo Ibarra, I feel, despite the rage in the injustice my father has suffered, is somewhat of a middle road. In ten years, the Americans will defeat Spain and purchase the Philippines, and then they will, directly and indirectly, kill one-fifth of all Filipinos in existence. The Philippine-American War, a war little studied in history, wherein both sides were barbarians. Clack clack, caritelas pass each other by on two lanes. It is a slow meditative noise. We pass around Intramuros along and over the Pasig River, upon whose sinuous flow still floated green lillies and waters still blue rather than blackened by sewage. Here and there are carts pulled by carabaos, the dutiful black buffalo of Asia. I behold the walkers on the street and strikes me how so characteristic it is for the common Filipino male that all of them wear white shirts. The mestizo wear dark suits of more European cut. Both contrast strongly the relative brown-ness of their skin. But in a decade or so, we would all be just ‘Asian injuns’. Just ‘niggers’, each and every one. I am a young man yet, and yesterday only had vague goals about what to do with my life. Last night, I was screaming enough to disturb the other passengers. Now, enough freaking out, it is time to accept the task before me. Today, I have a goal. The names might be different – I might not encounter an Aguinaldo, a Mabini, a Bonifacio or a Luna, but with Spain’s general weakness a Revolution is inevitable. There might not even be Roosevelt as President or an Einstein or Stalin born. I have not really paid much attention to politics in my studies in Berlin. The names might be diffent, but their roles will remain. I do not want to be Jose Rizal, a national hero via martyrdom. I want to live! I want to see my life’s work complete! It is written that Emilio Aguinaldo, faded into history, actually only died in 1964. I am a young man, unmarried, reasonably wealthy, and with dead parents. The man written down as Crisostomo Ibarra will become Simoun in El Filibusterismo, a mystery man driven by a vendetta. But why wait? I raise my hand and pat my companion’s head. He grins happily. I swipe at the air. Visible only to me, a white box appears. The knowledge of the modern man is of little value, because the mind of the modern man is still finite. He is an ant upon the shoulders of giants who themselves stand on elephants, and perhaps upon a great turtle swimming through space. Those who dare to work through incomplete information merely lever the expertise of those around him, which is pro forma for capitalists I suppose. And with that word – a rush of concepts erupt in my mind, like a string of pearls crashing into each other, encapsulating the thrill and danger of genius. Capital – technology – confidence – a smug grin – responsibility – a war machine – technology is mean to better mankind! – never again to make weapons – a better world from a broken man – you want to steal my tech, you think I’m afraid of you – come at me! – come at me – I am but a man! No, that will not work. I blink, and the box clears. The Philippines right now is far too technologically backward. I would need to first build the tools to build the tools to build the industry. Ten years will not be enough. The mind of a man, no matter how much of a genius, is finite. Therefore, I have been blessed by the accumulated knowledge of all mankind, approximating one hundred and twenty years ahead. Why? Why me? Why not? Who are we to question what mission God has set before us? Let me save those I can save; leave the questions of how to change history for the better for the later. My companion barks with enthusiasm. This is Doggol the Dog, the much more useful adjunct to [Googol, the aggregate of human knowledge]. He is also a Welsh Corgi. He is a good boy. He places his fluffy paws on my arm and again my mind explodes with possibilities – the encapsulation of the capitalist creed. To begin from nothing – to search for one’s fortunes in the world – with grit and perseverance – with thrift and sense – never to falter – never to quit – never to cheat another of their fair wage – be sharper than the sharpies – tougher than the toughies – I’ll make my money square! No, I do not want to be hated, a miser who cares only for his money bit. The wealth I gather is just a means to the end. Wealth, power, influence. How? I have access to an agrarian economy and people that respected my father for his scrupulously honest dealings. People who are still very religious and would likely turn me in were I to attempt vengeance against the priests and the Guardia Civil and this rotten, rotten court system we have. It would take an eye-opening moment of great injustice to rise up in revolt; not for my sake, but to redress their own. The revolution is inevitable, except in the hearts of its people. I have arrived at the hotel. Fonda de Lala, its name. Founded in 1810 by the American firm Russell and Sturgis, it was later sold to an Indian mestizo named Lala Ary, and from whose name the present establishment is derived: the Fonda Francesca de Lala Ary at No.37 Barraca Street. Human beings need a dream as much as they need food to eat or air to breathe – it’s a world of laughter and a world of tears – a world of hope and a world of fears – there so much we share – it’s time we’re aware!